Rev. Barbara Lancaster-Lyman, age 82, passed away on February 8, 2019. Barbara was born April 21, 1936 to the late Henry and Theodora Milby Janes in Louisville, KY.
Aside from her parents, Barbara was preceded in death by a son, Robert Christopher Lancaster and a brother, Bob Milby. Barbara is a native Kentuckian. Her higher education was from the University of Kentucky where she majored in English and Journalism. She was ordained by Universal Brotherhood in 1994, and served on the Board of Directors, and also as a Minister Director. Barbara became a Reiki Master in 1997, and trained many others in this healing modality. She received Certificates of Achievement from Aloha International in Huna Healing and from the Association of Research and Enlightenment in intuitive studies. For several years Barbara received training from her Unity minister in metaphysical healing and spiritual counseling. 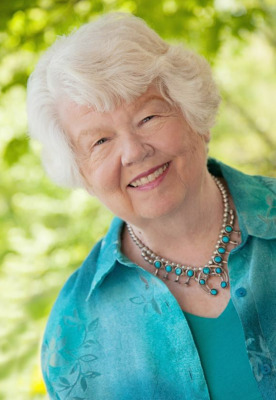 She began teaching A Course in Miracles in 1989 in the Lexington and Frankfort, Kentucky communities, Barbara also facilitated a Master Mind group and frequently officiated weddings. Barbara retired from her job in marketing in 2002. She is survived by her husband, Julian Turner Lyman; son Anthony Eric (Lisa) Lancaster; stepson Christopher Wade Lyman; daughter in law Billie Lancaster; grandchildren, Eric Christopher Lancaster, Aaron Lee Lancaster; step-grandchild, Baird Lyman; great grandchildren, Brennan, William and Isaac Lancaster. A gathering of family and friends will be held on Sunday, February 17 from 2-5 PM at Clark Legacy Center-Brannon Crossing in Nicholasville, KY. In lieu of flowers the family has requested contributions be made to the American Humane Society. To send flowers or a remembrance gift to the family of Barbara Jane Lancaster-Lyman, please visit our Tribute Store. "Email Address" would like to share the life celebration of Barbara Jane Lancaster-Lyman. Click on the "link" to go to share a favorite memory or leave a condolence message for the family.